This document is a text conversion of the presentation originally given June 18, 2018 at the Open Truesdale Lake Meeting at the South Salem Presbyterian Church. 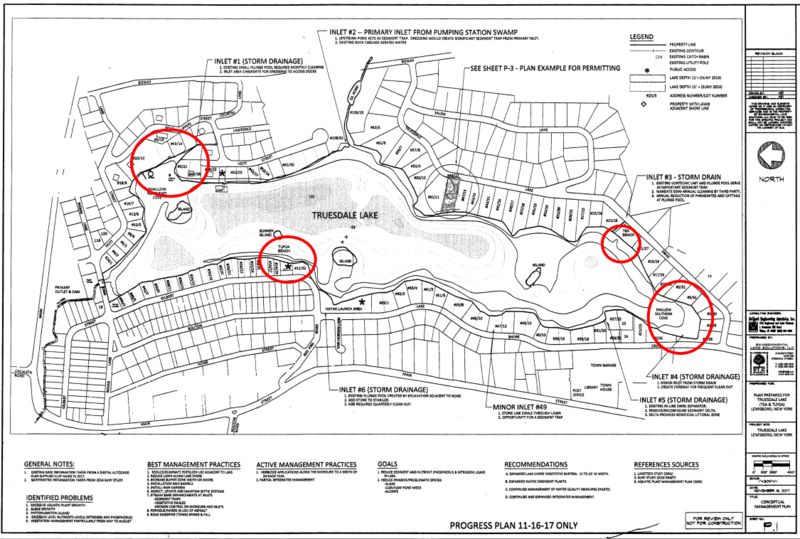 The Truesdale Lake Property Owners Association (TLPOA) would like to request a conceptual review of proposed methods to mitigate the accumulated organic silt deposits at various areas around the lake via a combined method of hydro-dredging and water level management. The organic material would be collected and pumped to designated areas for dewatering utilizing bio-bags as well as a natural dewatering/compaction process from controlled lowering of the water level. The dewatered organic material would ultimately be raked out as a new shoreline base planting medium. 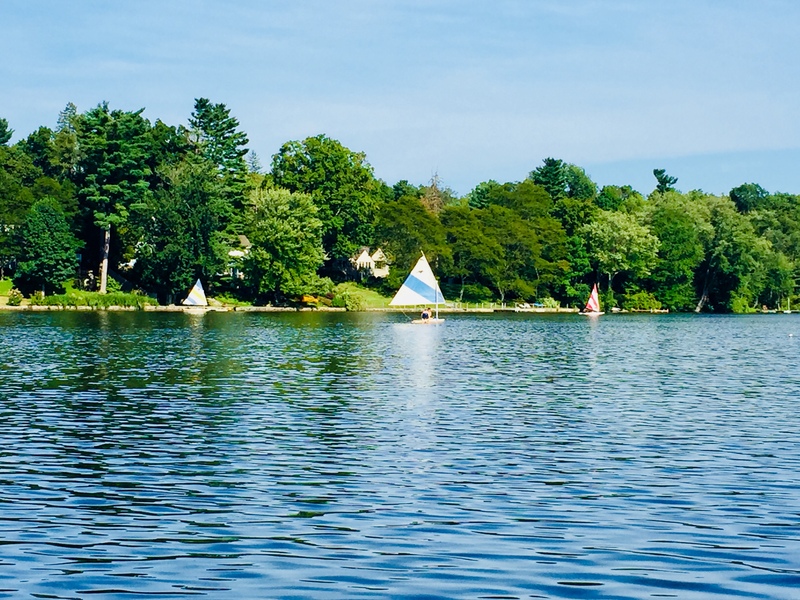 Truesdale Lake, class B, is a regulated waterbody and an Excavation/Fill in Navigable Waters permit is required for any excavation or fill below Mean High Water (MHW). The original project involved dredging approximately 64,000 cubic yards of material at 4 locations, however, that may change based on our discussion yesterday at the site visit. Will not cause unreasonable, uncontrolled or unnecessary damage to the natural resources of the State. 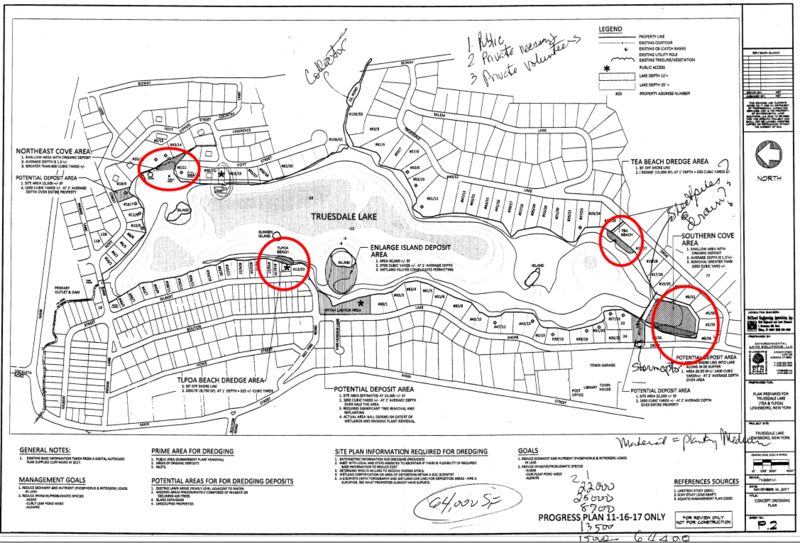 You are also proposing to drawdown Truesdale Lake by approximately 3 feet below the existing water level. The drawdown will be conducted by the use of a siphon in the existing dam. The purpose of the drawdown is to attempt to control aquatic vegetative growth and to allow sediments to compact. Complete refill by May 1. Please also be aware that if any repairs are proposed to the dam, or if any work is proposed by residents of the lake, the DEC should be consulted for potential permits. An Army Corps of Engineers permit may be required pursuant to Section 404 of the Clean Water Act. If a Section 404 permit is required, you will also require a Water Quality Certification pursuant to Section 401 of the Clean Water Act. Issuance of these certifications in NYS has been delegated to the DEC. Please contact the Army Corps of Engineers in New York City, at 917-790-8511, as soon as possible, for any permitting they might require. Under Uniform Procedures, 6 NYCRR §621, each permit type has designations for minor actions, all other actions are major. Water Quality Certification – minor actions include projects that will not exceed the minor project thresholds established for protection of waters. A determination will be made once a formal application has been submitted. Major actions require a minimum 15-day public comment period once the application is deemed complete. A short Environmental Assessment Form must be submitted with the application package. No application can be deemed complete until the Lead Agency or DEC determines the significance of this action in writing. Please note that this project is located within the NYCDEP East-of-Hudson watershed. Contact NYCDEP directly about any jurisdiction which they may have. 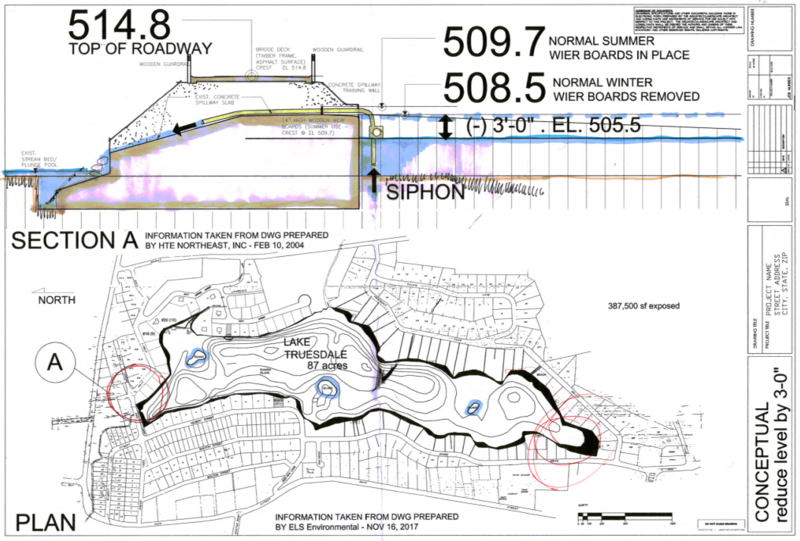 Coverage under the SPDES General Permit for Stormwater Discharges from Construction Activity (GP-0-15-002), is required for construction projects that disturb 5,000 square feet or more of land within the NYCDEP East-of-Hudson Watershed. As this site is within a Municipal Separate Storm Sewer System (MS4) community, the Stormwater Pollution Prevention Plan (SWPPP) must be reviewed and accepted by the municipality, and the MS4 Acceptance Form submitted with the SWPPP and the application for coverage, in accordance with the application instructions. Material that will be removed from the lake will need to be characterized to determine whether it is clean fill, qualifies for a Beneficial Use Determination (BUD), or will need to be handled as solid or hazardous waste. Please contact Lee Reiff, NYSDEC Division of Materials Management at 845-256-3134, as soon as possible, for guidance on testing of the material. Information on BUDs, including pre-determined BUDs, is available on the DEC website at http://www.dec.ny.gov/chemical/8821.html.